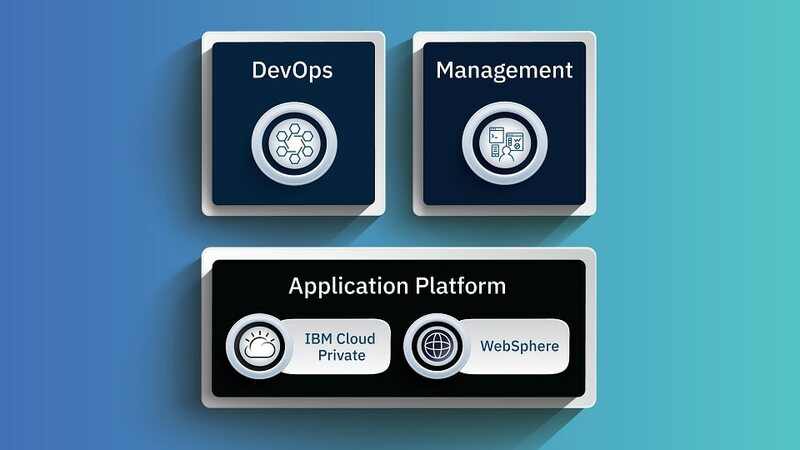 IBM® Cloud Application Platform provides flexibility for deploying existing applications to WebSphere Application Server or transitioning WebSphere applications to IBM Cloud Private. This offering enables you to transition to the cloud at your own rate and pace. This is an ideal solution for WebSphere deployments that plan to eventually transition applications to IBM Cloud Private, and there is no additional purchase required to move from one WebSphere edition to another or transition to IBM Cloud Private. Benefit from the best in class WebSphere family of products and IBM Cloud Private in one platform solution. Transition to the cloud at your own rate and pace, or transition between cloud and non-cloud deployments based on your needs. IBM also gives you the flexibility to run different runtime technologies. Deliver more value to your customers and address new trends and evolving requirements by adopting cloud-native approaches and modernizing your WebSphere applications. With IBM Cloud Private, maintain control of your own environment where you can adhere to your specific security and governance policies. Highly available Java EE server runtime environment for large-scale and mission-critical application deployments. Java EE server runtime environment for enterprise applications, provides advanced performance, redundancy and programming models. Java web profile server delivering a lightweight production runtime for rapid web and cloud-based application development and deployment. Open standards based platform for delivering, managing and securing cloud-native, enterprise grade applications.